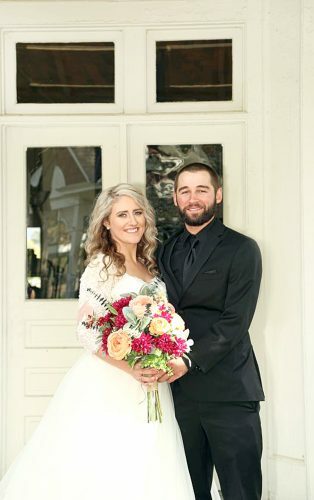 LISBON – Miss Allison Elizabeth Brown and Mr. Toby Lee Warner were united in marriage on Saturday, July 11, 2015 at 3:30 p.m. in the afternoon at West Point Church of the Nazarene in Lisbon. The ceremony was officiated by Rev. Peter Fowler. Music for the ceremony was provided by pianist and vocalist, Andy Black and a violinist and cellist from Harmony String Quartet of Youngstown. 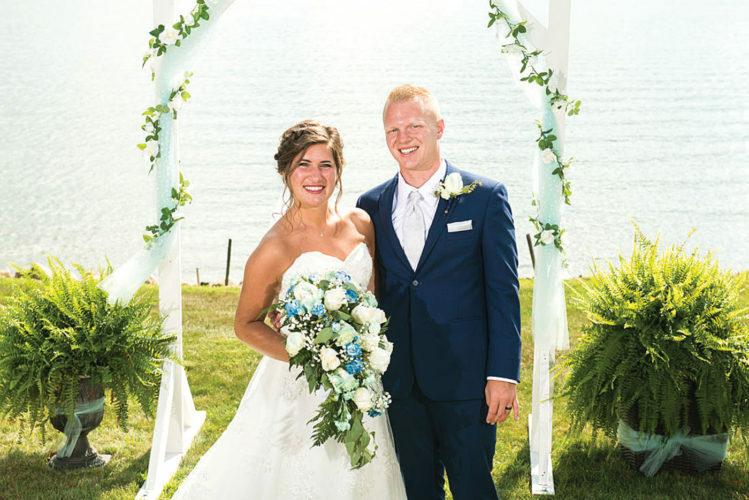 The bride’s parents hosted a buffet dinner and reception at Das Dutch Village Inn. On the eve of the wedding, the groom’s parents hosted a rehearsal dinner at the Das Dutch Haus Restaurant in Columbiana. The bride is the daughter of Allan and Carol Brown of Lisbon. The groom is the son of Roger and Ellen Warner of Titusville, Pa. Given in marriage by her parents and escorted by her father, the bride wore a white satin A-line cut gown with a beaded Chantilly lace overlay and sheer lace sleeves. The gown featured a lace up back and a chapel length train. It was complemented by a cathedral length veil with beaded lace edging. The bride carried a cascading bouquet of white and pale pink roses, white calla lilies, white stephanotis and white dendrobians. 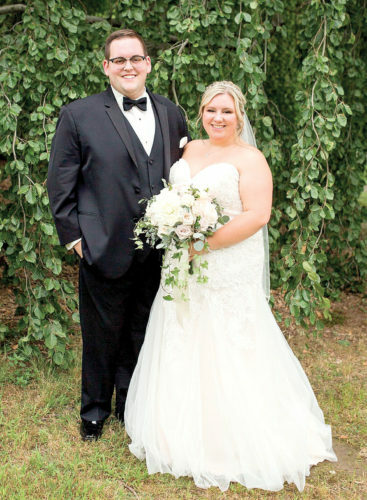 Mrs. Shelley Pirogowicz of Lisbon, served her sister as the matron of honor in a full-length raspberry colored chiffon gown. In matching gowns were bridesmaids, Jenny Haysler of Toronto, Amy Russell of Salem, both friends of the bride, and Kelly Schmid of Raleigh, N.C., sister of the groom. Each carried a round bouquet of light and dark pink roses. The flower girls were Isabella and Elizabeth Pirogowicz of Lisbon, both nieces of the bride. They wore light pink tulle gowns with dark pink sashes. 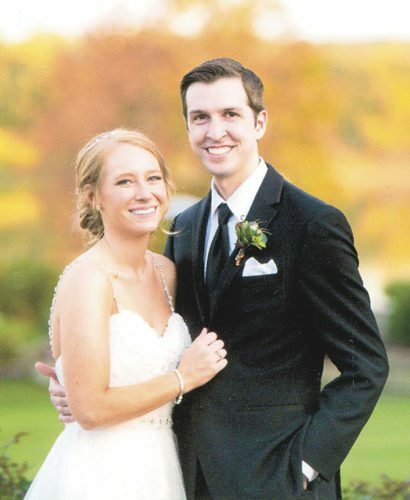 Nathan Scolamiero of Alpharetta, Ga., friend of the groom, performed the duties of best man. Groomsmen were Jeremy Vogel of McKeesport, Pa., also a friend of the groom, Matthew Brown of Wooster, Ohio and Joshua Brown of Lisbon, both brothers of the bride. The ring bearer was Blake Schmid of Raleigh, N.C., nephew of the groom. Mackenzie Brown, cousin of the bride, presided over the guestbook and handed out programs and rose petals. 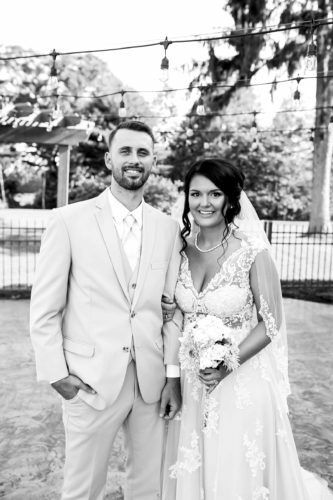 The bride graduated from Malone University with a Master of Education degree in Intervention Specialist Education and now works as a third grade teacher at Southern Local Elementary School in Salineville. The groom graduated from the Reformed Presbyterian Theological Seminary with a Master of Divinity degree. He is an associate pastor at West Point Church of the Nazarene and a pharmacy technician at Rite Aid in Lisbon. 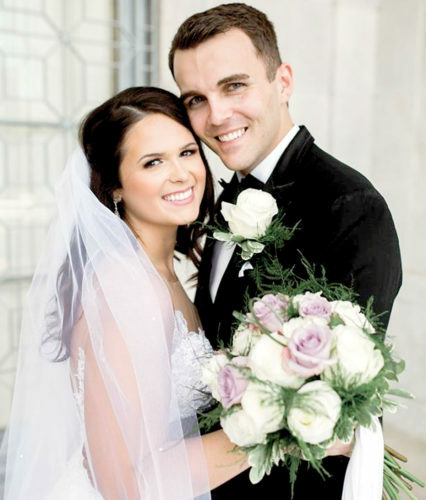 The couple enjoyed a honeymoon trip to Gatlinburg, Tenn., and currently resides in Lisbon.